Let’s start unraveling this thread, shall we? In my opinion, both the Sailor Moon anime and manga do a good job dealing with the lead up reveal of Usagi being Princess Serenity in her past life. They search for the princess, things happen, and then Usagi awakens as Serenity, princess and heir to the Silver Millennium. After that point, however, things become a lot less clear. What do I mean by “unclear”? Well, in every other instance in the series when a character awakens, either be it as a Sailor Soldier, as Tuxedo Mask, or as Sailor Saturn, destroyer of worlds, this is always a one-way road. Once you awaken, that’s it. 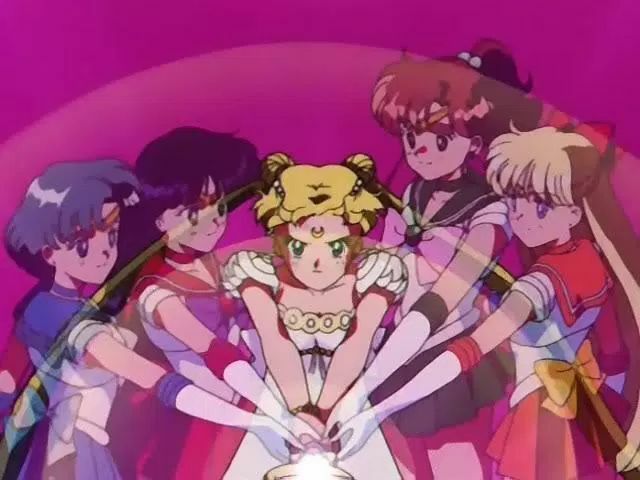 Though it’s pretty clear that the Sailor Soldiers didn’t retain any of their memories of their past lives, they were at least self-aware enough about their role and their sense of duty to search for and protect the Moon Princess once they realized their were Sailor Soldiers. But we don’t exactly see that happening with Usagi when she realizes that she’s Princess Serenity. In the manga, Usagi seems to have regained a significant amount of her memories, and it still seems that the events that happened when she was Princess Serenity are events that happened in her own past. Yes, it was her that suffered at the hands of Queen Metalia and her minions, it was her that died, and it was her that lost Prince Endymion. However, this all seems to be limited to the extent that these are old memories awakening within her, much like having some memories from a tough time you experienced in your teen years resurfacing when you’re in your thirties. This is not to be confused with Usagi awakening as Princess Serenity.1 Usagi doesn’t seem to represent herself as Princess Serenity per se, but rather has her memories. Read also: Why Do the Girls in Sailor Moon Have Marks On Their Cheeks? The anime, however, seems to go the other direction. Because why wouldn’t it? Here, Usagi seems to become Princess Serenity. Her mannerisms change, and so does the way she speaks. It’s almost like Princess Serenity was reincarnated with her spirit locked away within Usagi when she died, and then upon Usagi realizing what happened, Serenity was able to “come out and play” if you will. Sure, Usagi gained at least some of her memories of the past, but outside of the moments where she’s clearly acting as Princess Serenity, Usagi seemed to treat the situation akin to a story she heard and less like memories and events that she experienced first hand. Episode 39 is a great example of this. We learn that Princess Serenity was a great and talented ice skater, and yet for some reason, Usagi’s an accident waiting to happen on the ice. This is after she’s already supposedly “awoken” as Princess Serenity, so you would assume that either she should be able to ice skate properly, or she should at least be confused as to why she can’t. 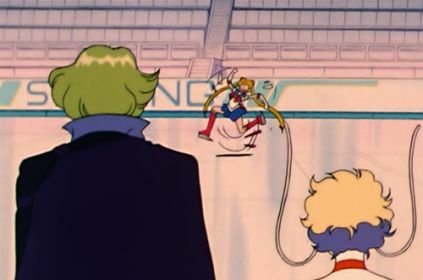 But what happens instead is actually far more telling: in the second half of the episode, Usagi is able to ice skate just fine once she’s on the ice with Tuxedo Mask. Almost as if Princess Serenity and her latent abilities are still somewhere deep inside Usagi. We see this same thing happen in the latter half of episode 22 as well, though this is prior to her realizing that she’s Princess Serenity. Usagi, who by all accounts has two left feet and can’t even run without tripping, dances perfectly with Tuxedo Mask. I can only explain that away as Serenity awakening within Usagi, albeit on a low level, from being together again with Endymion. And that brings us full circle to the original question: is Princess Serenity another form that Usagi transforms into, much like Super Sailor Moon or Eternal Sailor Moon? In the climactic final battle of the first season of the anime, it’s not Sailor Moon who faces off against Queen Metalia2 — no, it’s Princess Serenity, accompanied by her fallen comrades. This scene seems to treat Princess Serenity like a powered up version of Sailor Moon, similar to another transformation. And that isn’t even the only time that we see this happen either. 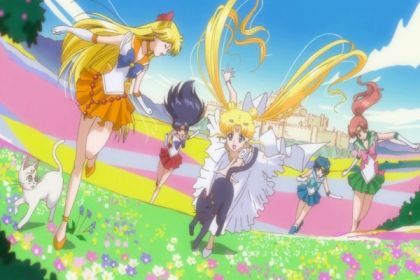 The climactic battle against Fiore ends in a similar fashion as well, with both Usagi and Mamoru transforming into Princess Serenity and Prince Endymion respectively to save the day. This is definitely one of those articles where I freely admit that it’s just me speculating. That said, I do believe that there’s a reasonable amount of evidence to back up the theory that Princess Serenity was yet another of Usagi’s transformations — at least in the early part of the anime. So where does your opinion fall on this theory? Are Usagi and Princess Serenity separate people who happen to inhabit the same body, or did Usagi completely awaken to her past as Serenity? It’s interesting to think that, in that case, the opening of Sailor Moon follows the story of Usagi Tsukino, and then from that point on, we’re following Serenity living as Usagi Tsukino in the modern world. I’d love to hear your thoughts down below! ← What Do the Sailor Moon Transformations Look Like to Other People? 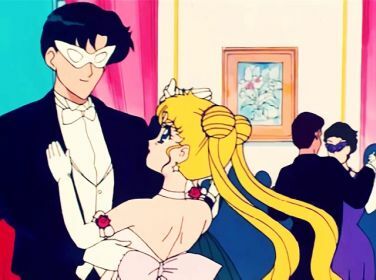 “Sailor Moon follows the story of Usagi Tsukino, and then from that point on, we’re following Serenity living as Usagi Tsukino in the modern world.” This is exactly how I see it happening after both, Usagi and Mamoru, remember their past lives, and, maybe embrace it fully once they take their stance as king and queen after the Dream Arc. Because, why else would they go back to call themselves Serenity and Endymion in the future? Why not living a normal life after Galaxia? Sailor Moon sure is confusing at times. 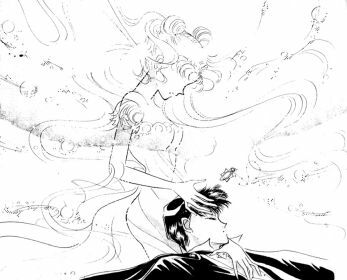 In the way I view it, their souls merged – so that Usagi has both the memories and abilities of Princess Serenity (and Sailor Moon, since that form is obviously linked to Serenity), but she can use them only when she changes her form. We saw Saturn talking to Hotaru, but Usagi´s different forms never talked to each other, except the time in Black Moon Arc. But then she was present in two bodies, so it cannot be used as an argument. Metal Beryl would have been a much better name. Thinking of it as a transformation seems to make sense. The Soldiers do acquire some extra knowledge when they transform: otherwise, they wouldn’t know the attack words… and their skill and power also seems to increase, matching the indicators we have for Serenity. It’s also a bit more satisfying: I wouldn’t really like to contemplate Usagi as a puppet of a long dead princess: thinking of it as a transformation that gives her access to memories and skills feels less strange. I mean, I definitely agree on principle that “Metal Beryl” is a better name. But there’s also a part of me that think there are so many amazing jokes that could be made about “Metal Beryl” that it’s simply too good to pass up. But that’s neither here nor there. Regarding the transformation, I personally like that idea better, because it allows Usagi to tell her own story and not simply be the continuation of Serenity’s story, but I can definitely see the appeal for both interpretations. Or maybe Beryllium? Suggesting its metallic form. Ami would be very proud! Very interesting article. However, I do doubt the above part. It’s not just a transformation, it’s more like two persons sharing the same body. Usagi had no memories of and no control over what happens when the Princess takes over. There was even a part where the 2 of them had a lengthy discussion on what is right and not. Just imagine Sailor Moon would do that to Super Sailor Moon, another transformation of hers. It just doesn’t make sense. If anything, it’s more like Yukito/Yue of Card Captor Sakura situation, only that Usagi got to know of her second ego at a certain point of time, whereas Yukito still keeps repeating “What am I doing here?” in the middle of the Clear Card Arc. Or you could compare it to PGSM’s Beryl/Kuroki, only that the 2 went a step further and got separated bodies, too. Interesting article. I don’t know what the answer is, but I’ve always felt that the memories of Princess Serenity (and the increased power level that goes with getting in touch with those memories) are just a part of Usagi’s past that she can’t remember until then. Whether or not it counts as a transformation is a matter of semantics. If you magically remembered a past life as a renowned piano player, and suddenly find yourself with the ability to play the piano extremely well, and have your personality affected (at least temporarily) by the sudden recall of decades worth of a past life… did you “transform”? Most people would say no. What if your clothes magically changed when this happen. Does it count as a transformation now? Now it’s debatable. Maybe it is? Anyway, I do not see Serenity as a separate entity who can “come out and play”. I think Usagi’s change in mannerisms are a temporary change as she remembers what she used to be, and what she’s capable of being now if she tries. Usagi develops a level of maturity she didn’t have before, and it happens in an instant, as a result of regaining those lost memories. I think that, at least in the manga, the point is that while Usagi technically *is* Princess Serenity reincarnated, she is also *more* than just that. 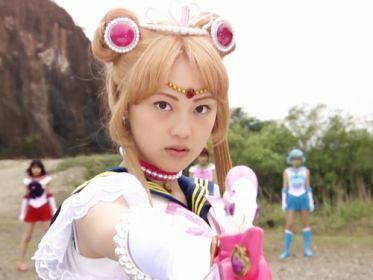 When Usagi is first given the power to become Sailor Moon, her only issue with it is having to fight monsters. When she awakens as Serenity, though, not only does she get her past self’s memories, but her body attempts to adjust, with her hair suddenly growing. And Usagi seems upset at the idea of *becoming somebody other than just herself*. Before that, she only had brief dream-like “this feels familiar” moments, which didn’t bother her much. Towards the end of the first arc, Usagi, in a fit of despair, attempts to kill herself, mirroring the fate of the “original” Princess Serenity. She seems to think it was destined for that story to repeat. But this time, *it doesn’t work*. And she wins. I also find it interesting that the final battle with the Dark Kingdom looks very different between the versions. In the anime, Usagi fights Super Beryl as Serenity – her past form. In the manga, she fights as Sailor Moon, but using a staff-length Moon Stick, and with the crescent moon symbol still visible on her forehead. This continues later in the series, too. Manga Usagi doesn’t turn into Princess Serenity to destroy enemies, she does it just fine as Sailor Moon, and the few times she appears in that form are more for symbolism. However, her soldier forms *do* start to resemble Serenity more, first with her white semi-transparent Super outfit, and then when she permanently loses her tiara as Eternal Sailor Moon (which Diana says is the closest form to Neo Queen Serenity). In the anime, she seems to “channel” Serenity as her emergency powerup form in order to use the Silver Crystal, to the point one has to wonder why she doesn’t just learn to stay in that form all the time. Probably because the anime liked the “using the Silver Crystal will kill you” gimmick, which allowed for more drama during the climactic points. Interestingly, the “depower” is almost always *back into Sailor Moon*, even when it doesn’t make sense (the crystal exploded in the R movie), so it’s a “second transformation” similar to Super Sailor Moon during Infinity/S. Which, coincidentally, was the only anime season to not feature Serenity during the finale. – First season: fights as Princess Serenity. – Sailor Moon R: fights as Neo Queen Serenity, with Chibiusa as Small Lady Serenity. This one in particular is odd, because Chibiusa wasn’t even a soldier at the time. And NQS seems to be possessing Sailor Moon’s body. – Sailor Moon R movie: fights as Princess Serenity. – Sailor Moon SuperS: transforms into Princess Serenity to save Chibimoon because… I don’t even know. Chibimoon transforms into Small Lady Serenity once she is saved. Both get wings. – Sailor Stars: fights as winged Princess Serenity, loses her dress before winning, presumably for symbolic reasons. …which probably has something to do with the anime version exaggerating Usagi’s clumsiness from the beginning. They couldn’t resist playing up the irony of her being a princess, despite manga!Serenity not really acting much different from Usagi in the Silver Millenium flashbacks. I thought there was an episode, maybe episode 40 in the 90s anime when Usagi’s family goes on vacation, or maybe in Crystal shortly after she recovers her memories, where Luna tells her she is NOT Serenity, and not doomed to be a tragic princess, that she IS Usagi Tsukino. Hmm, there very well may be a scene like that! I don’t recall it, but it’s been awhile since I’ve seen that part. That could just be Luna trying to cheer her up, though. I mean, Luna didn’t even know that Usagi was Serenity this whole time, so her memory is clearly faulty. What I mean is that Usagi has all the memories of Princess Serenity Heir to the moon kingdom magical powerhouse and everything there BUT also has all the memories of Usagi Tsukino, fourteen year old Japanese kid that is somewhat spoiled and a crybaby… Princess Serenity on the other hand grew up to be something different, she was a Princess, and was brought up to a certain standard. In the manga, after we learn that Usagi is Princess Serenity, there’s actually a scene where the inner scouts go by Usuagi’s house and discover that she still looks like Serenity. One of the scouts (I don’t remember who) actually cuts her hair back to the length that it was before she awakens as the princess. I don’t think they’re two different entities sharing the same body at all. Usagi is Princess Serenity and vice versa. Usagi can’t change too much as a person or else her family and close friends (such as Naru) would become suspicious. I also think her continuaing to act as “Usagi” and not as “Serenity” would be a way for her to distance herself from the painful memories of her past. She not only lost the love of her life, but her also lost her entire kingdom and must feel some guilt for her mother dying and the kingdom being destroyed as the queen used to silver crystal to send their star seeds into the future instead of defeating Beryl. Assuming that the queen would have been able to do so in the first place. In the manga and through various interviews with Naoko Takeuchi we learn that it was forbidden for citizens of the moon to interact with citizens of Earth. 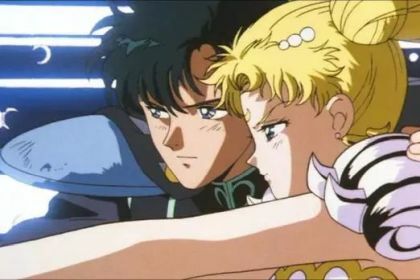 I’m sure Serenity/Usagi is just happy to try and live the life she always hoped for – being with Endymion/Mamoru on Earth.